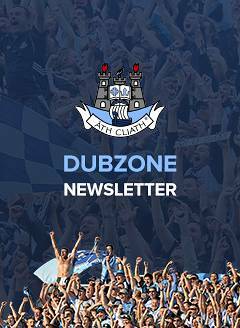 Dublin minor footballers hopes of qualification out of Leinster MFC Group 1 were rocked by their four-point defeat to Wicklow in sweltering conditions at Parnell Park on Wednesday night. The Garden County, with this well-merited victory, leap-frog over both Offaly and Dublin into second spot in the table with one round of games remaining. Meath, who have now booked their berth in the provincial semi-finals and are guaranteed top spot, lead the group with four wins over of four, following their one-point victory over Offaly on Wedneday night, with Wicklow now second with five league points, Dublin and Offaly joint next on four points, Louth on three, and Westmeath bottom of their group with no points. The Dubs travel to Westmeath for their concluding game of the round-robin section in a must-win game but results elsewhere will have to go their way to make the semi-finals, the same night Wicklow host Meath and Offaly host Louth. The concession of two first-half goals left Dublin chasing the game in the second-half as the Garden County led 2-4 to 0-4 at the break. Wicklow made a great start with points from Matthew Ging and Seán Doody with Kevin Quinn's 11th minute goal giving the visitors an early 1-2 to 0-1 lead after Mark Lavin had opened the night's scoring for Dublin. Points form Lavin again, Liam McGovern and Matthew Dunne kept Dublin very much in touch but Wicklow finished the opening period on the up with a goal from Eoin Darcy in the 27th minute, the perfect lift before the break. Dublin had what wind advantage was going in the second period and dominated in terms of possession with Wicklow operating on the counter-attack. However, Wicklow's use of a sweeper, greater tenacity and ball-winning prowess around midfield left Dublin with a lot to do in the second half. The Dubs came strong at the finish in a game that was stopped throughout the second half with Wicklow players suffering from cramp but the Garden County defence held strong. 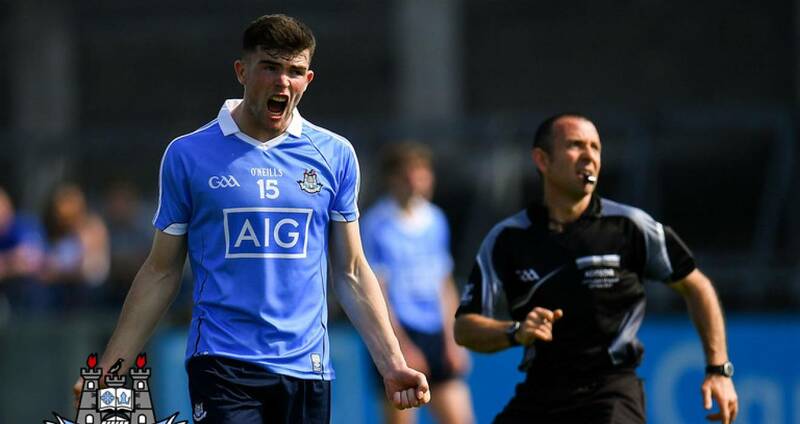 Points from Robbie Bolger, Conor Murray and Enda Cashman cut the deficit but Dublin's night was summarised by Seán Guiden's late goal attempt hitting the upright as Dublin laid siege to the Wicklow goal. Minutes earler Bolger, a second half sub, also had a one-on-one goal opportunity but was denied from close range. SCORERS – Wicklow: M Ging 0-4 (0-2f), K Quinn, E Darcy 1-0 each, S Doody, J Fleming Foran 0-1 each. Dublin: M Lavin, E Cashman 0-2 each, M Dunne, L McGovern, C Murray, R Bolger 0-1 each. WICKLOW: B Fennell; F O’Carroll, S Kearney, T Moran; K Quinn, O Cullen, G Fogarty; E Byrne, S Doody; A Barrett, C Maguire, J Keogh; M Ging, E Darcy, A Foley. Subs: C McDonald for Barrett (49), C Grimes for Byrne (52), J Fleming Foran for Ging (58), S Cranley for Doody (62). DUBLIN: S Bohan; E Farquharson, A Fearon, A Rafter; M O’Leary, E Cashman, M Lavin; S Foran, E Adamson; C Hennessy, M Dunne, L McGovern; S Guiden, L Swan, D Smith. Subs: D McLoughney for McGovern (ht), C McManus for Dunne (ht), C Murray for Hennessy (ht), R Bolger for Smith (40), M Grogan for Farquharson (44), L Dunne for Grogan (53, BC).